Your support of the Campaign for the Cabrillo Pavilion is a vital part of this exciting and historic renovation project. Help shape the pavilion legacy. Restoration of the Cabrillo Pavilion will preserve the iconic building's historical integrity while creating a modern community recreation and social center that is safe, accessible, and usable for all to enjoy. With your gift, you will help shape the Pavilion legacy and make a valuable difference to Santa Barbara’s future. We invite you to help restore, renew, and revitalize the Cabrillo Pavilion with a gift to the Campaign for the Cabrillo Pavilion. Your gift will ensure that the Pavilion serves the community for years to come. There are many ways to give and contributions of all sizes are greatly appreciated. Consider a gift in honor of or as a tribute to your family. Your gift and contribution can be made via the The Parks and Recreation Community (PARC) Foundation. Established in 1986, PARC is a nonprofit organization that raises funds to support Santa Barbara parks, recreation programs, facilities, and services. 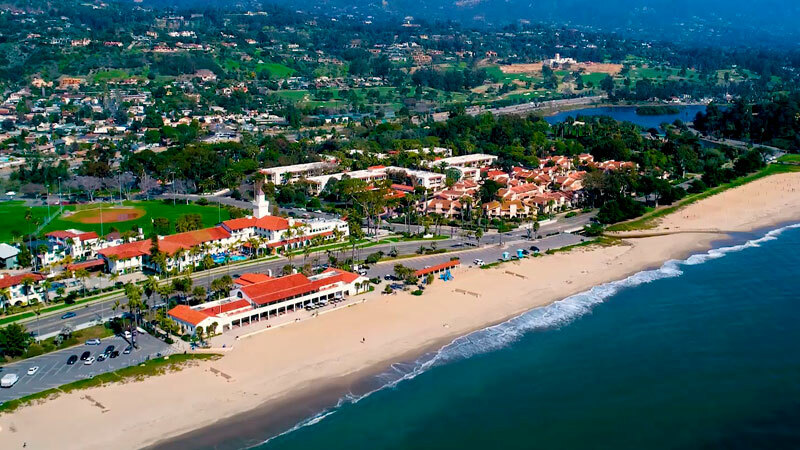 PARC’s mission is to promote, preserve, and enhance parks, recreation, and open space in Santa Barbara for the enjoyment appreciation, and improved quality of life of present and future generations. PARC also serves as an umbrella organization for special projects and partnerships, such as the annual Santa Barbara Fourth of July Celebration, the Santa Barbara Educators’ Roundtable, and the Friends of East Beach Association. The Foundation also manages park endowments and scholarship funds. By far, most gifts made to capital campaigns are made as pledges. Pledges are payable over three to five years and allow contributors to make far more substantial gifts than would likely be the case if they were limited to making one full payment within a single year. Cash gifts may allow for an income tax deduction for all contributions in a given year of up to 50 percent of your adjusted gross income with a five-year carry-over period. Many donors choose to make their gifts using debit or credit card, allowing them to accumulate rewards points or frequent flyer miles. Such gifts may save on capital gains tax and may provide for a charitable income tax deduction up to the full fair market value. You may be able to take an income tax deduction of up to 30 percent of your adjusted gross income and still carry forward any excess up to five years. If you own an insurance policy that is no longer needed for its original purpose, you can donate it to the Campaign for the Cabrillo Pavilion. In general, you will be entitled to an income tax deduction for the cash surrender value and can deduct the amount of future premiums paid to the Campaign for the Cabrillo Pavilion. Campaign leadership welcomes the opportunity to discuss gifts of real estate, such as a vacation home, as a charitable contribution. Gifts of assets such as cars, jewelry, and boats may offer another way to make your charitable gift. With planning and design are complete, and construction on the Cabrillo Pavilion began in January 2018. Community needs assessment, architectural design, site engineering, plan review, and permitting process. Community outreach and fundraising for $4M needed for renovation construction costs. Pavilion closes January 2018. Groundbreaking followed by renovation construction. Public ceremony and first tours of the newly-renovated Pavilion. Cabrillo Pavilion reopens to the public with expanded hours and programs and a community celebration. The Parks and Recreation Community (PARC) Foundation, established in 1986, is a nonprofit organization that raises funds to support Santa Barbara parks, recreation programs, facilities, and services. PARC’s mission is to promote, preserve, and enhance parks, rec- reation, and open space in Santa Barbara for the enjoyment appreciation, and improved quality of life of present and future generations. The PARC Foundation is proud to be a part of the Campaign for the Cabrillo Pavilion. Please email campaign@cabrillopavilion.org for more information.